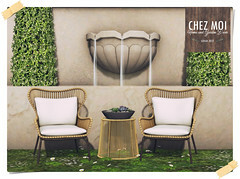 Since 2008 on furniture and decorations business of Second Life, the Chez Moi always led to their customers comfort and quality. And after 2 years closed, she returns to offer everything for your home. 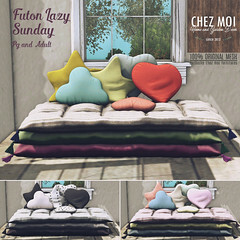 From furniture, decor, bedding, bath and table linen, carpets and curtains, lighting, housewares to gifts for all different styles, all in one place. 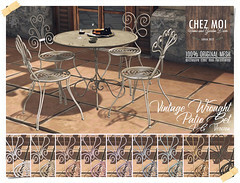 For NEW CHEZ MOI Furnitures, home decoration follows life time of each, is a young single, newly married, a couple or a large family. In our store, you also can find tips and solutions for combination renovate your home with design, charm and lots of savings, leaving it functional and comfortable, the way you always wanted.